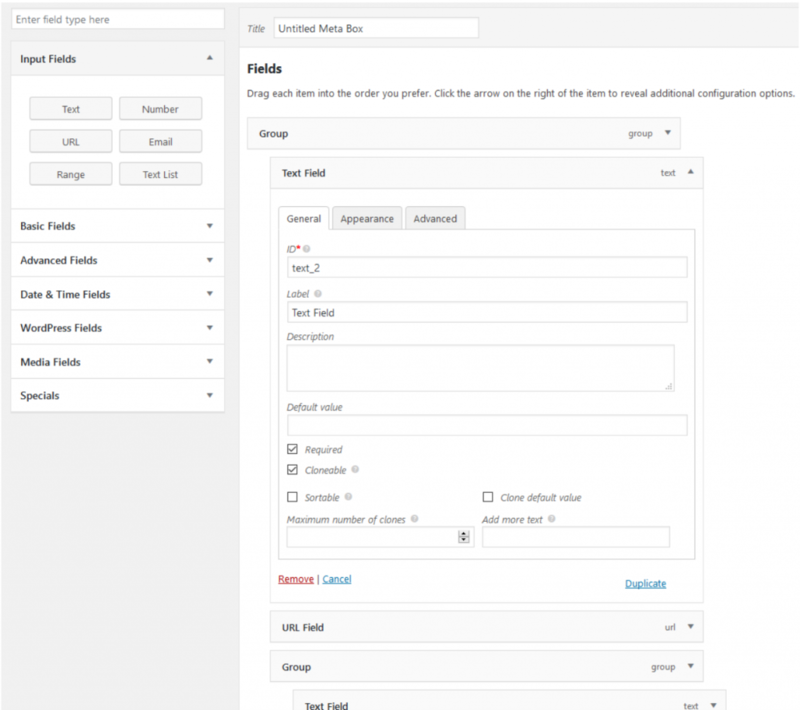 Meta Box – Custom Fields Re-Envisioned Lightweight and powerful, Meta Box is a must-have plugin for WordPress developers. I’ve often talked about using WordPress as a foundation for web application development. That is, we have to build more features to transform it into a true CMS. To that end, we don’t always use WordPress as a blog platform for our client’s website. That usually includes creating custom post types, custom fields, and work on that data. When building custom fields and when time is of the essence, Meta Box is a perfect plugin for that purpose. Unlike other plugins for custom fields, Meta Box acts as a framework that provides a wide range of APIs available to you to create custom fields more convenient. Thus, it is well-suited to developers. Perhaps you’ll need to know a little about coding to use Meta Box effectively. However, the features that it offers, based on what I’ve seen, is the most comprehensive comparison with other plugins. What I like in Meta Box is that it separates features into extensions. You only use what you really need. For those facing performance constraints, this can be a big plus. Additionally, it has an online generator and builder extension if you prefer a friendly UI to create custom fields without having to write any code. Finally, Meta Box includes detailed, well-organized documentation. You can also find some examples in the library on GitHub. 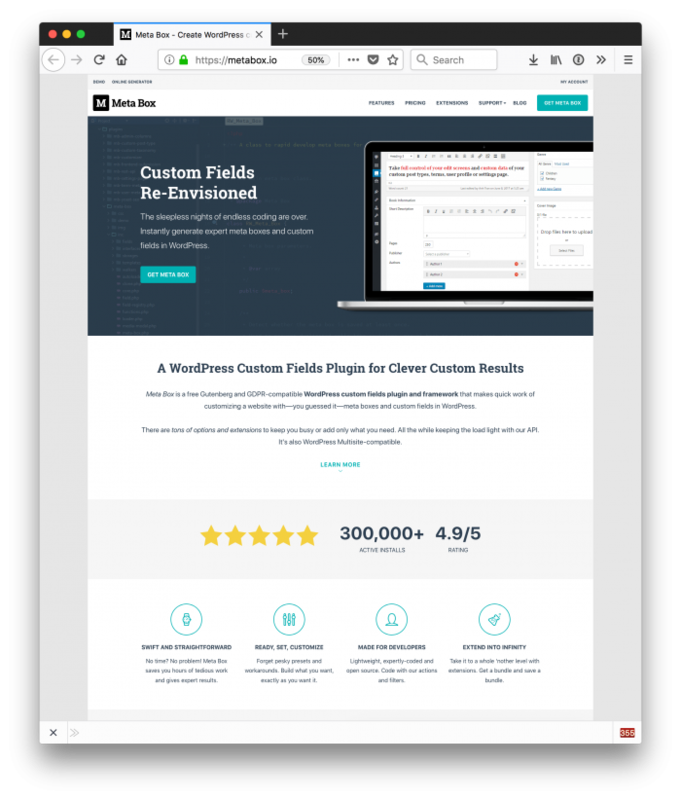 Speaking from my own experience, if you need to build a website on the WordPress platform that used to custom fields, Meta Box is your best choice.